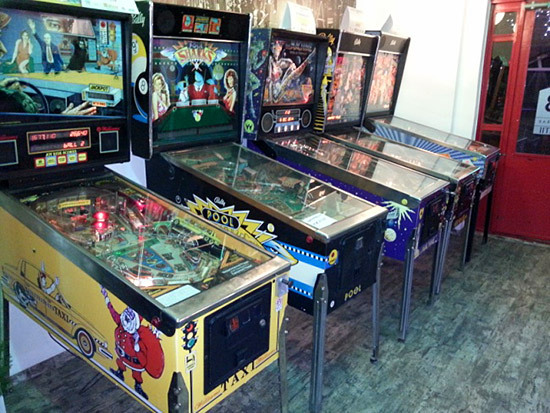 Well, I have never written a pinball-related report before… but thanks to Martin Ayub I got the chance to do the job. 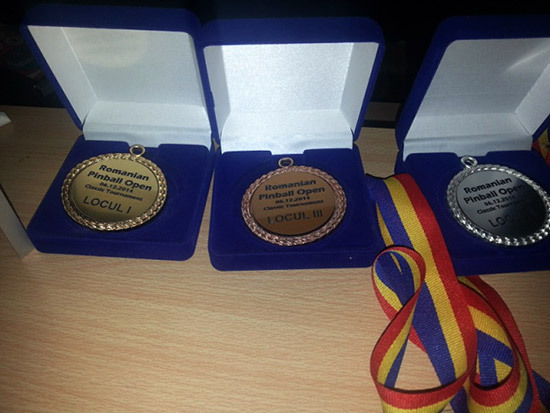 So here are my experiences from the final event I took part in last year, the Romanian Pinball Open. At first I hadn’t planned to attend RPO 2014 due to a lack of time, but then Wizzair came along with its one-day special discounted prices (they were really good that day) for the flights, and, well, being ranked 22nd at the time in the IFPA European Championship Series for 2014 (for which the top 32 qualify) also made me want to go. 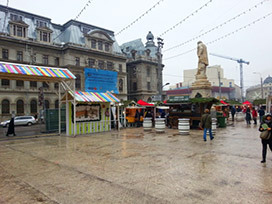 Before I go any further it is important to know I have never been to Romania before, and my perception of this country was rather vague and – shame on me! – I pictured its people to be like those who came to Poland to beg in the streets. On the other hand our countries have shared - to some extent - a similar post-Second World War path. Both countries were then ruled by utopia followers and so we share the same memories of – to put it mildly – general shortages of everything except the constant admiration of our 'advanced' economic systems. Eventually both countries managed to overturn their tyrannical leaders in the late '80s, but that is where the similarities end. While Poland managed to change the system in a relatively peaceful way, Romania was the only country in the region to overturn communism through a bloody revolution that resulted in the death penalty handed down to their overthrown leader Nicolae Ceausescu and his wife Elena. Having these prejudiced thoughts about Romania in my mind, I went for a trip that has changed my opinion about this country. It starts with Ovidiu Cacina, the main organizer of the RPO 2014, who was patiently answering my not-the-wisest questions regarding Romania and its capital, Bucharest. 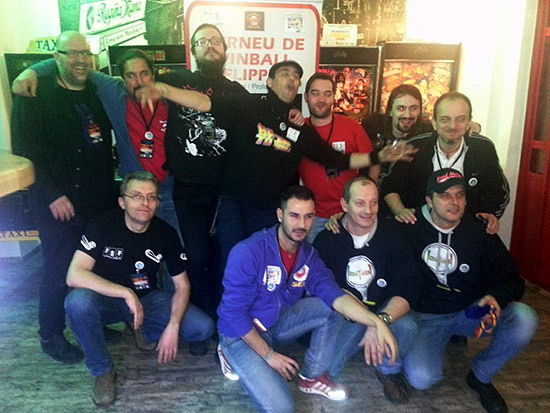 We had met in Budapest at the Hungarian Pinball Open just a month earlier. I admit Ovi should take part of the blame for this report. 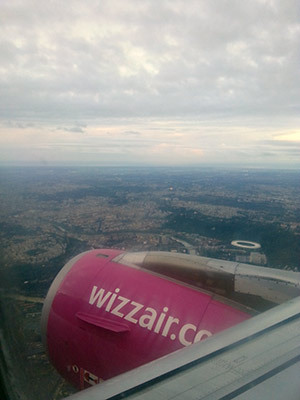 It took me two flights to get to Bucharest on Friday 5th December. 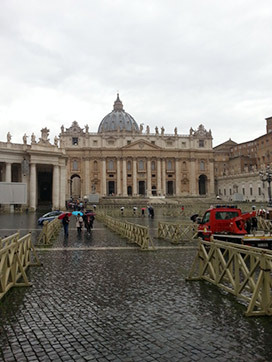 I had to fly via Rome Ciampino, but it turned out to be a great opportunity to spend one day in Rome as my next flight to Bucharest’s Otopeni Airport wasn't scheduled to leave for another twelve hours. 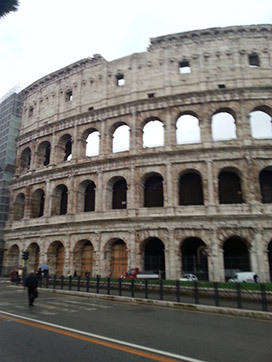 I had a chance to visit both The Coliseum and The Vatican – two of the most famous landmarks in the world. 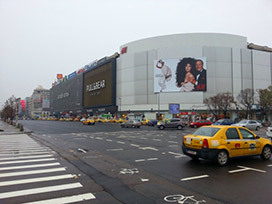 Unfortunately, the weather was bad and it was raining until almost 2 pm. I walked a lot anyway - about 10km - so by the end of the day I was very tired and had to stop. 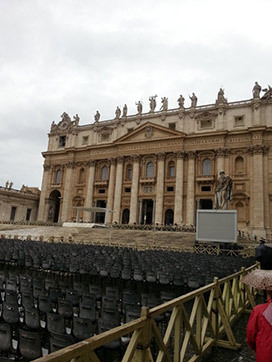 I got back to Ciampino airport (it is located about a 45-minute bus ride from Rome’s main railway station - Termini) to board my Bucharest flight. The plane turned out to be fully booked and filled with luggage, which reminded me of my first flight to London more than 10 years ago. 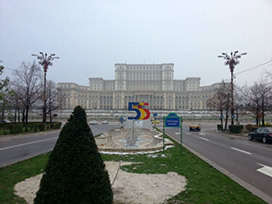 When we landed in Bucharest I took a taxi - it can be ordered using special terminals that prevent the traveler from being scammed - to the hotel I had booked close to the Palace of the People – a monumental structure which is the second largest administrative building in the world after The Pentagon. 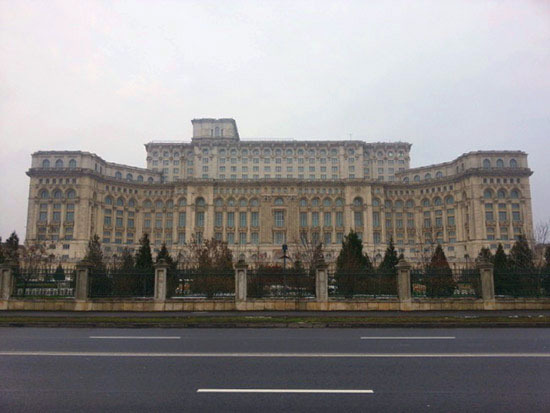 This palace alone should be the second reason to visit Bucharest on the next trip, with taking part in the RPO 2015 obviously being the main reason. 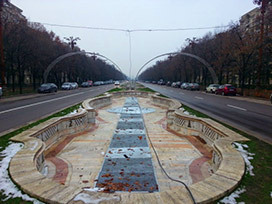 On the Saturday morning I took a walk from the hotel to the RPO venue and had a chance to see the Palace's surroundings. 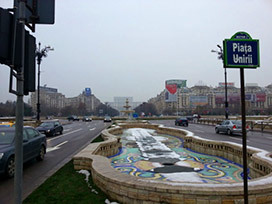 Walking the streets and avenues of Bucharest made me realise just how spacious the city really is. 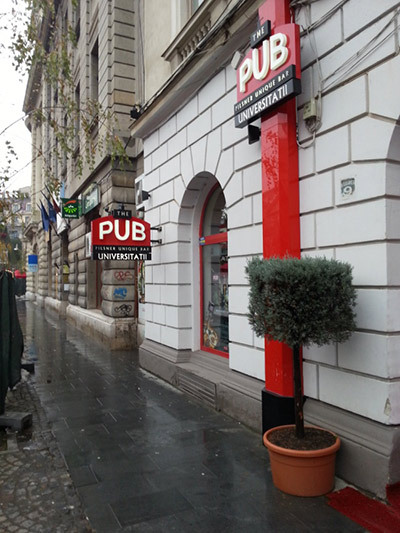 The RPO 2014 was held in The Pub. The tournament was scheduled to begin at noon, but when I arrived at 11am some machines were still being brought into the venue. There were two tournaments held during the RPO – the main and the classics. 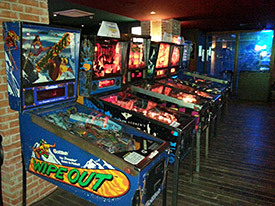 Due to some general problems with a number of machines, only Bally/Williams and Capcom games were used for the tournament. 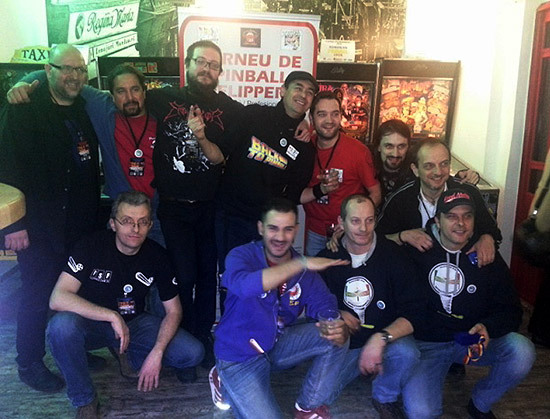 Eventually 25 players from 5 different countries - Italy, France, Austria, Poland and Romania - showed up to compete. They were divided into two groups of 12 and 13 players for the main tournament. Ovidiu’s wife, Lidia, and his daughter, Iulia, looked after the registration process. The first stage was a round robin system with the 8 best players from each group qualifying for the next round. Then two new groups of 8 players each were formed and another 7 match round robin was played. The four best players from each group were then paired for the playoffs. In the case of two players having the same number of wins, the obvious tie-breaker was used with the advantage given to the player who won the game between tied players. 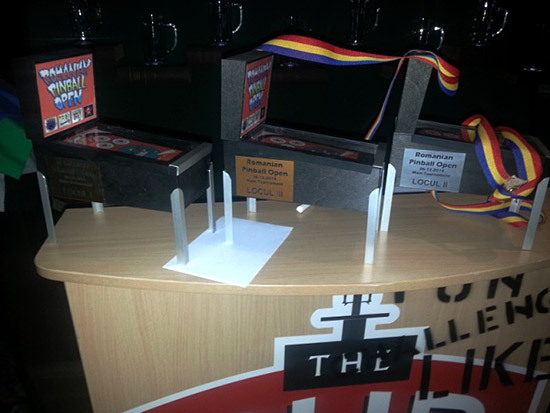 With more than two players finishing with the same number of wins, a side table was used to determine the final order. If the side table didn’t break the tie, a shoot-out would be played on one machine. 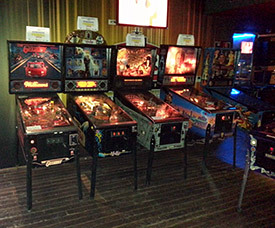 The classics were played on four machines (Taxi, The Machine - Bride of Pinbot, Elvira and the Party Monsters, and Dr. Dude) with the top eight progressing from the qualification phase. 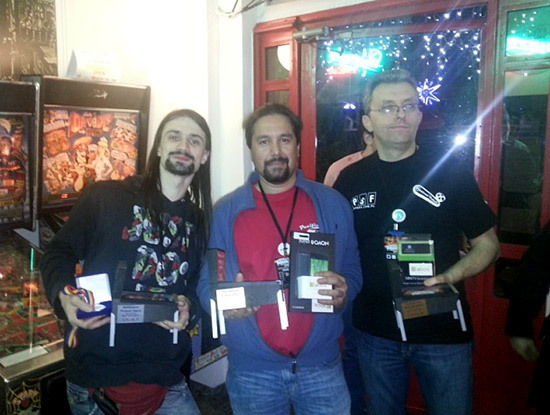 Each player had two games on each machine with the best score counting. Then a ranking of the scores on each machine was used to determine the qualification table. The play-off stage in the main tournament cross-paired players using 1-4, 2-3 formula, while in classics 1-8, 2-7, 3-6, 4-5 pairings were used. 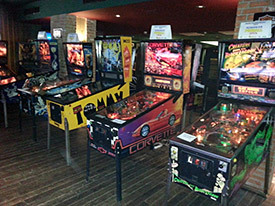 The semi-final games were played by each pair in a best-of-three match on a randomly selected machine (all games to determine the winner were played on the same machine), with the winner advancing to the main final and loser being send to a fifth place play-off. 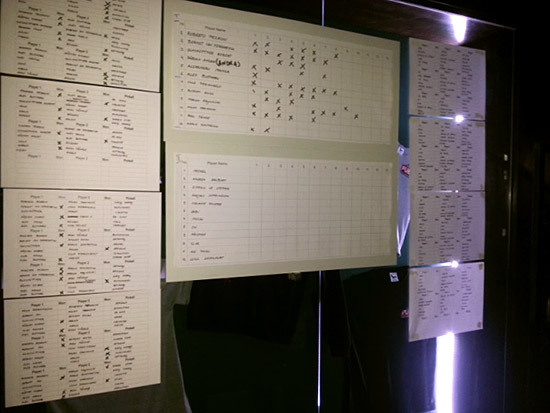 The finals and play-offs were played on one randomly selected machine with the order of play determined by the position of the player in the previous round. The player with the lowest position would start, the player with the second lowest position would play second, and so on. The main tournament started little bit later than planned, but being a tournament organiser myself I can only express my understanding of the situation. 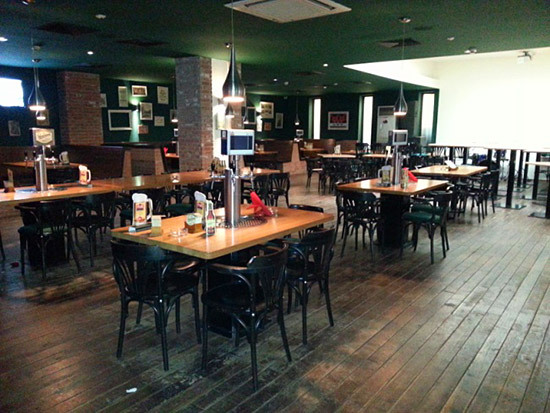 It is so easy to run a tournament if you have all the machines set up at your own location. Anyone who has run a tournament with the machines first having to be hauled into the location will appreciate Ovi’s and his team’s hard work to get the machines ready for the start. I started with a little introduction to Romania and the picture I had of the country before going there. So now it is time to admit I had it all wrong. Everyone I met was extremely friendly and talkative with a great sense of humour, starting with the taxi drivers who didn’t speak English but tried to make the trip interesting by pointing out at the landmarks. Then there was a man I met at the breakfast who was kind enough not to smoke in my presence (although smoking in restaurants is still allowed in Romania). But most of all, the pinball people! It is important to underline the kindness and great hospitality showed by them. We made jokes, discussed different issues, exchanged opinions on pinball and other non-pinball-related problems. Just like we had known each other for years. The time was really well spent. 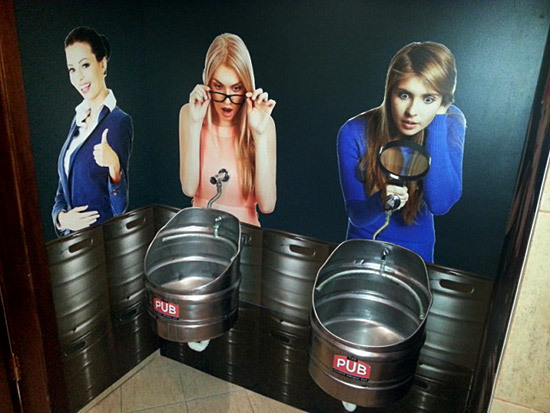 While I was waiting for the main tournament to begin, I looked around The Pub. The tables caught my attention. If you want to order a beer you don’t need to call the waiter. 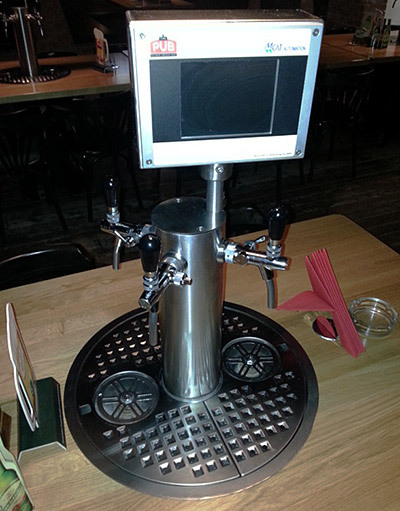 The beer can be immediately poured directly into your glass at the table! 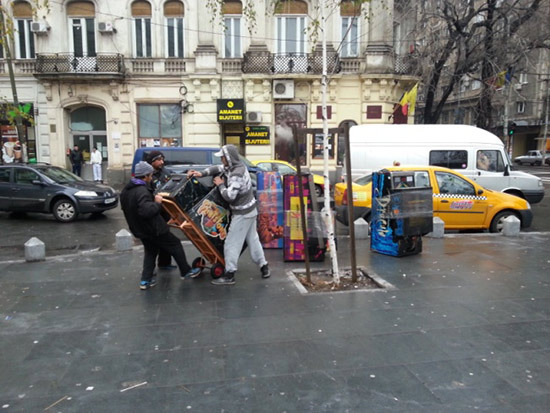 So choose wisely… and visit Bucharest to play in the next Romanian Pinball Open.